Besides of the famous known Pingan village of Zhuang Minority Ethnic, there is another unknown Jinkeng Rice Terrace, which is home to Yao minorities. 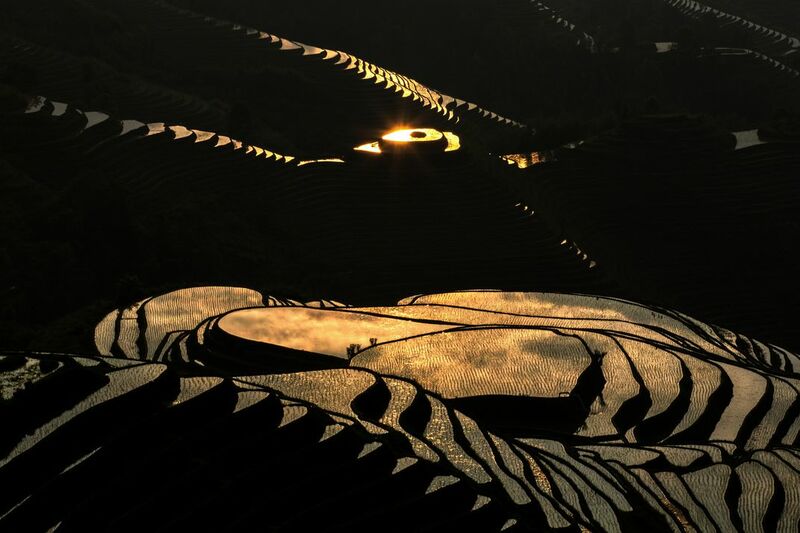 Jinkeng Rice Terraces are located around 25 miles (40 km) away from Longsheng, where you will be rewarded feats of farm engineering going all the way up a string of 2400 feet (800 m) mountains. The 66-square-km network irrigation project was began by the ethnic Zhuang in the Yuan Dynasty (1271-1368), and finished by the Qing (1644-1911). Date Uploaded: Nov. 20, 2016, 8:43 a.m.